We all know smoking is bad for the lungs, and the heart, and the throat, and the bladder. Smoking is also bad for your eyes. Babies of pregnant mothers who smoke are 10% more likely to have undeveloped optic nerves. Those same mothers are twice as likely to give birth prematurely. Adult smokers are 120% more likely to develop Uveitis, a type of iris inflammation. 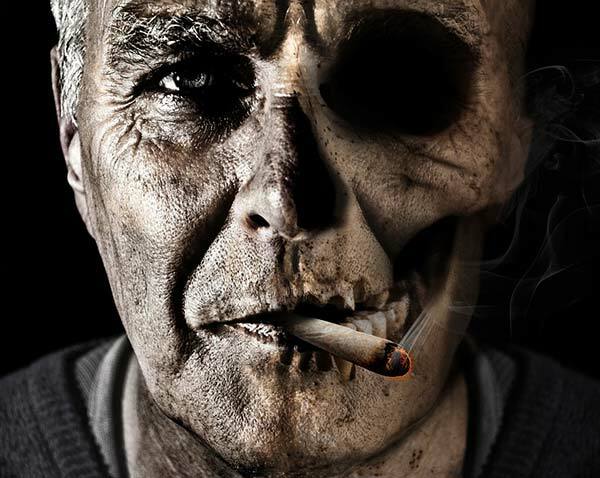 Smokers are 200% more likely to suffer macular degeneration. Smokers are more likely to develop cataracts. Smokers are more likely to experience dry eye syndrome. Smokers are twice as likely to develop diabetic retinopathy. Smokers are 16 times as likely to develop optic neuropathies. So, if you didn’t have enough reasons to quit smoking before, perhaps saving your eyesight gives you two more very important reasons to consider doing so now. If you do smoke, may we encourage you to schedule a comprehensive eye exam so we can look for early indications of any of the conditions listed above by clicking here.